Campaigners in threatened clifftop communities promised “anarchy” last night after a spat between officials over wording left the case for compensating homeowners out of a key coastal defence document. There was widespread anger in April when a response to public consultation about the shoreline management plan (SMP) for Kelling to Lowestoft overlooked more than 2,500 objections. It also brushed over the issue of compensation for the thousands of residents who could lose their homes and livelihoods if the plan to allow “managed retreat” of the coastline at all spots except the major towns goes ahead. North Norfolk District Council was then charged with the task of adding a foreword to the response by consultants Halcrow, spelling out the “social justice” issues. But last night it was revealed that the attempt had collapsed because the members of the “client steering group” involved in drafting the foreword could not agree the wording. Now the members – North Norfolk, Yarmouth Borough Council, Waveney District Council, Defra, the Environment Agency, English Nature and Great Yarmouth Port Authority – are faced with having to receive the Halcrow report, even if they do not all agree with it. Malcolm Kerby, from Coastal Concern Action Group, said the situation was “disgraceful”. He said: “I have already told the client group that if they publish this without the preface there will be anarchy. “The whole thing is unacceptable as it stands. It should be withdrawn now and no further attempts made until social justice is built into it. The Kelling to Lowestoft stretch is one of three pilot areas for the second generation of SMPs, which are being drawn up to govern the defence of the coast for the next century. 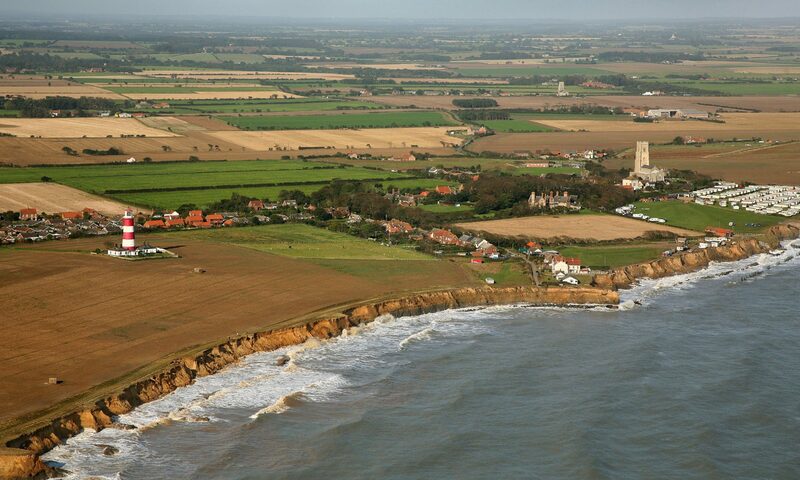 When it was initially published, there was uproar at the policy of “managed retreat”, which would leave communities like Overstrand, Mundesley and Happisburgh undefended. It now stands unadopted and with no statutory power – leaving threatened communities in limbo. The latest twist came as it emerged that a promised visit by the new environment minister, Ian Pearson, could slip back into the autumn. Mr Pearson, who took over from Elliot Morley in May’s reshuffle, was keen to visit the north Norfolk coast before the Commons’ summer recess begins on July 25. But holidays and commitments at both ends mean the visit is likely to be September at the earliest.